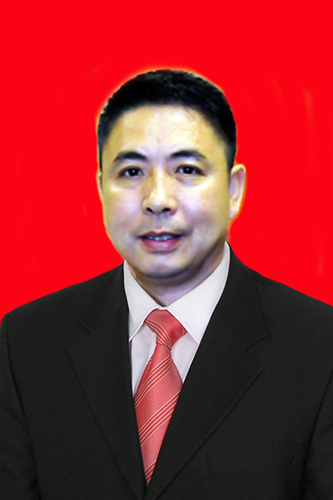 He Tao,born in Chongqing Yunyang county.Vice president of International Kungfu Federation,vice chairman of the IWSD Union,expert of Global Kungfu Website Expert Committee,dean of US Wu Chi Kungfu Academy,Wushu Sanshou Dao black belt eighth grade master level coach, national-level martial arts coach, and national-level dragon and lion dance refree.From 1990 to 2000, he used to be the head coach of the wushu team in Dongguan, Guangdong province, a visiting martial arts professor of the traffic police in Dongguan city. He Tao was an enthusiast of Chinese martial arts since his childhood, at the age of five he became a student of international famous martial arts master Liang Shouyu ,from him he aquaired the system technique of shushan Emei Mountain Xiaoyao Style martial arts,and became eminent in the aspects of traditional Taolu and modern Wushu Competition Taolu both in Neijia and South & North Style scope.He has mastered more than one hundred sets of different boxings and weapons from different martial arts factions, he is excellent in sanda technique, and fast wrestle,as well as Grappling . In 1986,he was accepted as a specil talented student by Chengdu Sports Institute,Wushu Department,where he learned from one of the ten top Wushu professors in China--Mr.Xi Yuntai and associate professor Mr. Chenjian to further his Wushu study.Insisting on the equal importance of Taolu and Kungfu Jiji,he has systematically absorbed the essence of Chinese martial arts, and have received international Kung fu movie emperor Jet li's master-- Wu Bin s advice.After four years' learning on martial arts in college,he graduated with high honors and earned a bachelor degree in martial arts education.